Goa Records is very honored and excited to continue releasing the many amazing creations from Swedish psychedelic Goa Trance master Trinodia. 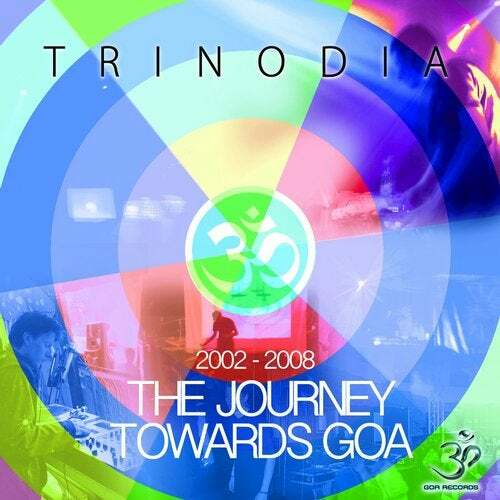 On "The Journey Towards Goa 2002-2008" it is now time to explore the history of the Trinodia projects journey through many trance music experiments towards Goa Trance! In the year 2002, Daniel started the Trinodia project and that is where this journey begins. Follow us through times of classic forest psychedelic trance, through a bit of tech trance, forward into the explorations of the psychedelic trance and onto the energetic full-on period. To end it all Trinodia goes back to the start again. Back into the forest and ends with one of the first tracks created for the Trinodia project back in 2002. Enjoy this travel through a variety in styles, not the Goa Trance that he is known for today but if you listen closely you can always hear a timbre, melody, sound or feeling of Goa Trance in the background in all tracks.